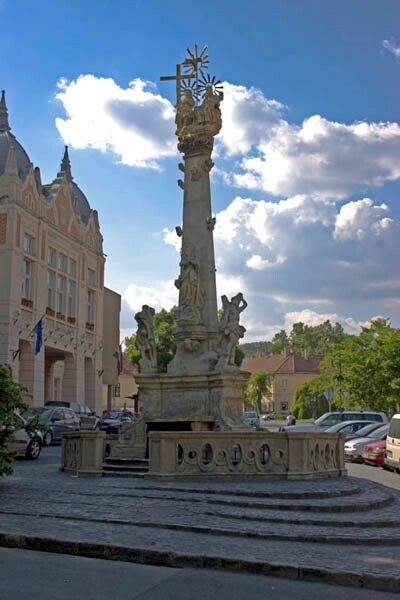 There is no distance in Szekszárd, all the sights can be reached walking. 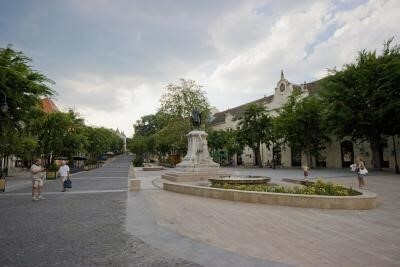 The heart of the town is the Béla tér, which could serve as a starting point when walking in the town. In the middle of Béla tér there is a Louis XVI. style church built in 1805, which is famous for being the largest single-nave church in Middle-Europe. You can listen to the chime of bells three times a day. In front of the church you can find the Holy Trinity statue as a memento of the plague. The traffic circles around the statue. 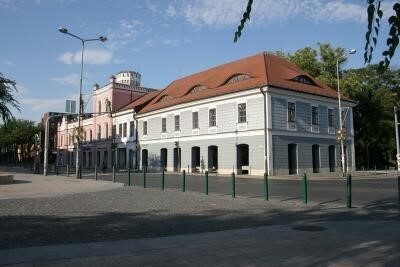 On the west side of the square you can find the town hall (Városháza), on the east side the old county hall. 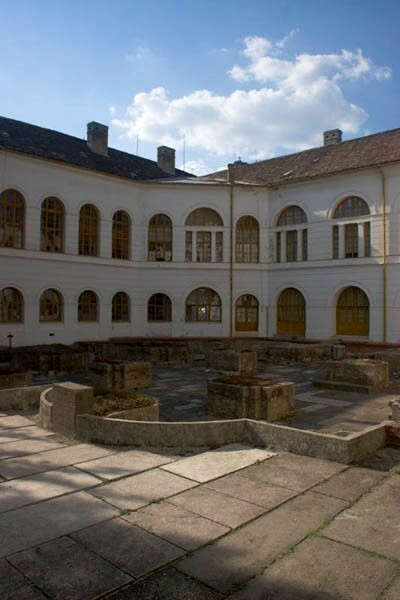 The classicistic style building block was designed by Mihály Pollák and was built in 1836. The yew trees in the inner court were planted at the opening ceremony. Also, here you can see the ruins of a monastery founded and built by King Béla I. in 1061. As well, a friary and a castle were built around it. The Statue of King Béla I., who played a crucial role in the stabilization process of christianity, can be seen on the square named after him; it is the work of Márta Lessenyey. The old county hall houses various offices and the Office of Archives today. You can visit different exhibitions in the Office of Archives. 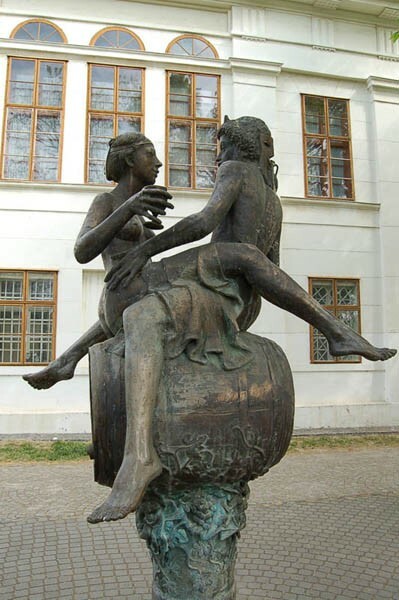 In the outer court of the building you will find the ornate Borkút (Fontain of Wine) created by Péter Baky and László Juhos Szatmári. On illustrious occasions wine flows from the faucets of the Borkút. 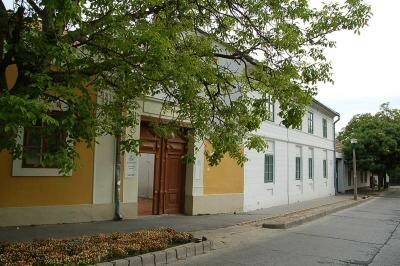 Just after a few minutes walking you will reach the famous Hungarian poet, Mihály Babits’ birth house (address: Babits u. 13.). In the modest building you can find a museum. Visitors can see his childhood relics, the furniture of the reception room and written memories. 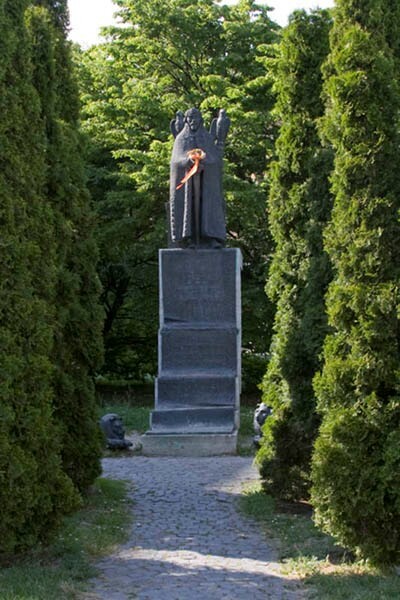 In the court you can see the poet’s brass statue created by Farkas Pál. 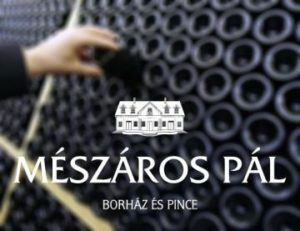 Széchenyi u. 36-40.) built by baron Antal Augusz. It was visited by Ferenc Liszt four different times. There is a plaque on the wall of the building to preserve the memory of his visits and as well in the building there is a music school named after Liszt. 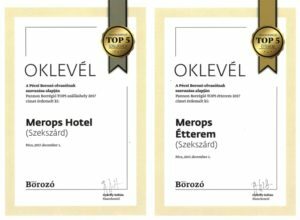 Maybe just to pay our regards, or maybe not, but the niveau of the music life in Szekszárd is traditionally very high still nowadays. 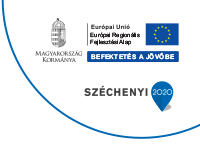 Music events are hosted by the Művészetek Háza (The House of Arts) (address: Szent István tér 20.). 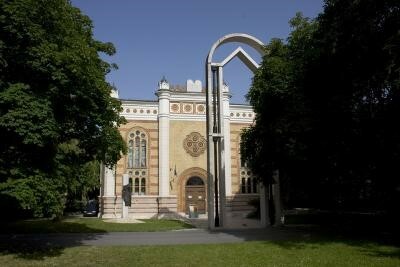 The old synagog was resurrected by the plans of architect József Kerényi. Visitors can see contemporary and classical artists’ works and as well attend to high niveau concerts. The treasure of the building is the organ, which is still played at concerts. The other jewels of the building are the illuminated sculpture replacing the chandeliers and the high arch in front of the entrance, which functions as a modern support to the old pillars. Next to the building you can find the prestigious building of the Wosinsky Mór Megyei Museum (address: Szent István tér 26.). 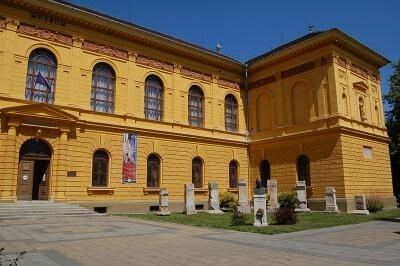 In front of the entrance there is the statue of the museum founder by Pál Farkas. In the museum, founded by count Sándor Apponyi and Abbot Mór Wosinsky in 1902, you will find many permanent and seasonal exhibitions. 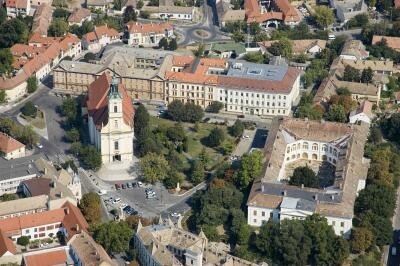 If you have the time and possibility, it is worth to take a look at Szekszárd from a bird’s eye view. 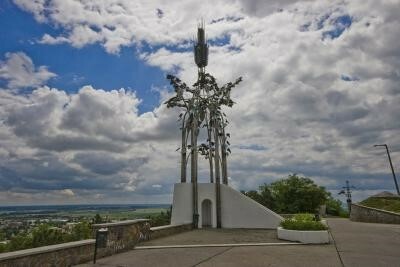 You can reach the Kilátó (observation post) (created by sculptor István Kiss) within a few minutes ride. Looking around, you can observe the carefully cultivated, hill climbing vine lands; as well the old and new districts of Tolna county seat which still manage to keep its small town values.